The online bingo industry is an important part of the online gaming industry. Bingo is big business these days, and the industry holds its own annual summit in London every year. This year will be the 5th annual bingo summit sponsored by Bullet Business which specializes in issues affecting the online gaming industry. The 5th annual bingo summit will take place at the posh Victoria Park Plaza in London, July 8th and 9th. 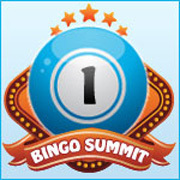 Most of the major online bingo companies will be represented at the summit. The online bingo industry is rapidly evolving and participants will learn new marketing strategies and can learn about the latest industry developments. Participants will include bingo operators, software platform providers, new bingo bonus consultants, analysts and consultants, recognized industry figures and affiliates. Other participants include: scratchcard suppliers, banks, and lotteries. The list of companies that have already confirmed their attendance reads like a who’s who on the online bingo industry! Attendees can expect to meet the top industry leaders at the Online Bingo Summit. Although the summit is geared for European bingo operators, US companies thinking about entering the lucrative world of online bingo should attend. It is only a matter of time before the onerous Unlawful Internet Gambling Enforcement Act is overturned and the US online bingo market will be opened providing the industry with millions of new online bingo players. Obviously one of the hot topics to be discussed at the online bingo summit is player acquisition. In the past industry innovations have benefitted players in many ways. Summit participants will discuss how to make online bingo games better to attract and retain players and are sure to come up with innovative solutions that will make online bingo better than ever. Topics that will likely lead to new player perks include retention strategies, and a discussion of what online bingo players look for in choosing a new bingo site. The 5th online bingo summit will offer attendees decades of expert industry experience and is an eagerly awaited event in the online bingo industry.